Teaching about respect. 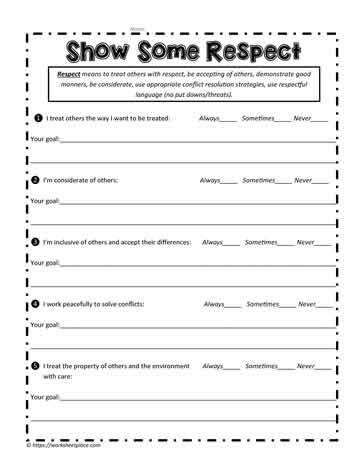 Worksheets to teach about respect in the 6 pillars of character. Teaching ideas for respect for 5th and 6th grades.